Jim joined GoodWork Staffing as Territory Sales Manager with the responsibility of getting the newly opened Concord location up and running. This location was the first GoodWork Staffing office to be physically located inside of an existing Goodwill retail store and has proven to a be a successful staffing partner for the company and the area. 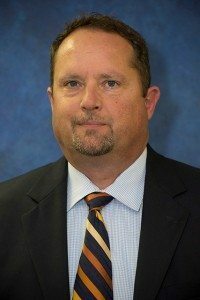 Upon graduating from Appalachian State University with a business management degree in 1989, Jim began his career in the staffing world with a national staffing firm in High Point, N.C. In 1996, Jim was transferred to Charlotte, where he started that firm’s first industrial staffing office. After 23 years working in the for-profit world of staffing, Jim decided that the non-profit staffing vision that Goodwill offered was where he would like to focus his efforts. Jim believes that we can all truly “Change Lives Through the Power of Work” through Goodwill and GoodWork Staffing by utilizing a local non-profit staffing firm where all revenue stays in the community and benefits everyone. Jim is the proud father of a young son, Cameron, and the proud husband of a beautiful wife, Azu, who both keep him busy and blessed.